We’re excited to announce that The Green Room has come onboard as an Industry Partner of the Gold Coast Film Festival 2018! The Green Room was created to change the way Indie films are made. By improving the way filmmakers connect, communicate, collaborate and find the right project, gig or crew that suits their ambitions, budgets, production needs, tastes and passion. This year, the Green Room will present a new award category for the Peer Award for the Best Australian Indie Film and a $500 cash prize. 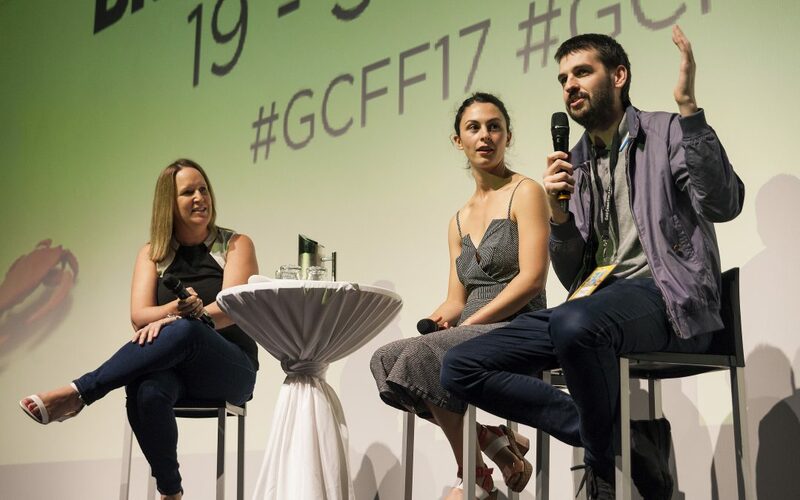 The award will be judged by alumni of the Gold Coast Film Festival’s Australian Indie Film Award and The Green Room’s Kosta Nikas and will be presented to one lucky Indie film at this year’s Festival thanks to The Green Room! Who are The Green Room? The Green Room is the first of its kind in the world smart phone networking app for the global filmmaking and creative communities. Personal Details | Education | Work Experience | Bio | Show reel | Skills | Equipment | Availability | Location | Projects | Awards |IMDb link and more. The Green Room allows users to create a project profile regardless of its production status: In-development | Pre-production | Production and Post-production and for whatever type of project, format and genre they are working on, producing or directing.